Volleyball is a sport that combines athleticism with communication, hand-eye coordination and finesse. But more so than other sports, volleyball relies heavily on teamwork and camaraderie on the court. 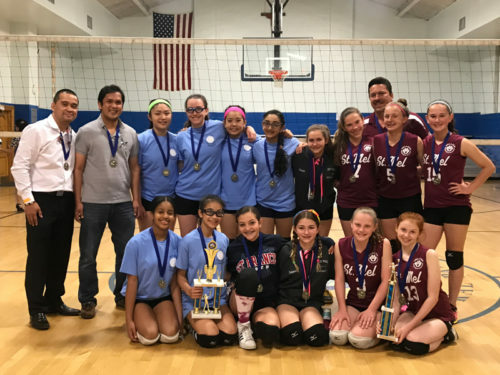 Several Catholic Youth Organization (CYO) teams took the sport’s aspects of teamwork and camaraderie a step further by playing recently in the first-ever “Volley for a Cause” tournament. 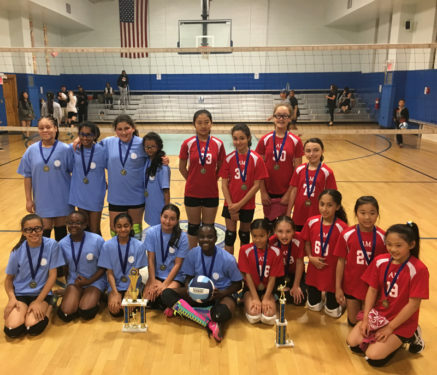 Our Lady of the Snows, North Floral Park, hosted the three-week-long double elimination tournament. The brackets were determined by the regular season CYO seeding, and each team was guaranteed two matches. 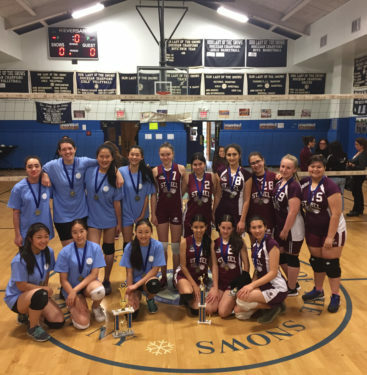 The tournament wrapped up June 4, with Our Lady of the Snows winning the championships in the sixth and seventh grade divisions and American Martyrs, Bayside, taking home the eighth grade division title. More so than the championships, however, the tournament was a huge success based on the purpose it served. All proceeds were donated to the Martins, a family very involved in parish life at Our Lady of the Snows. In late March, Dalin Martin, a member of the parish’s eighth-grade volleyball team, fell seriously ill. She had been hospitalized for several weeks before recently moving to a rehab facility. Dalin’s volleyball coach, Diane Lollo, had the idea to start the tournament to benefit the Martins throughout this process. She has coached Dalin since sixth grade. The seventh-grade squad from Snows took the championship by defeating St. Mel’s. During the tournament, the values of CYO sports came directly to the forefront. The community graciously rallied around a family in need of assistance – no questions asked. Lollo’s team chanted Dalin’s name during timeouts, and a wall was set up for people to leave prayers and well wishes on sticky notes. Lollo said it was very moving to see the camaraderie from complete strangers – further fitting in with the theme of practicing Catholic values through CYO sports. In the sixth-grade championship game, Dalin’s sister Kayla was a member of Snows’ title-winning team. During that match, the gymnasium was filled with energy and erupted with excitement when the team recorded the final point. “I could have started crying … seeing the amount of love and support that was given from everyone was incredible,” Lollo said. The Martin family was very humbled and appreciative to receive the support from the tournament. It’s been a long road, but Dalin continues to make incredible progress. Lollo said she would like to make the tournament an annual occurrence, with proceeds benefitting a different cause each year – preferably a local family in need of a helping hand. It’s great to see the teamwork of multiple parishes getting together to support a worthy cause.